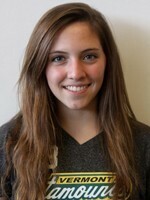 ECHO Alumni Morgan Fisher - Goalie for the US National U18 Women's Team! 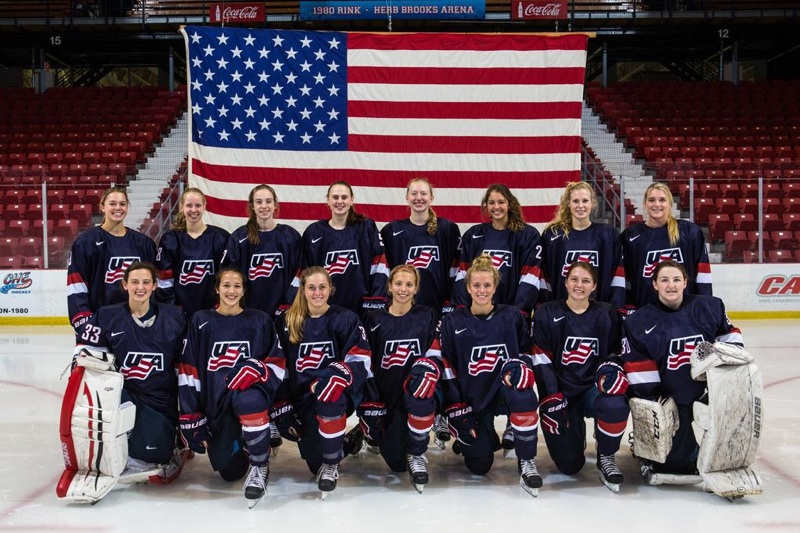 ECHO's own Morgan Fisher has been selected as a goalie for the 2015 US National U18 Women's Hockey team. Morgan learned to skate at ECHO with her dad Michael as one of her coaches from the age of 5 -8. Morgan transitioned from ECHO to play Tier 1 hockey with some of Connecticut's elite woman's (girls) teams, she was recruited to play prep school hockey and is entering her senior year at Williston Academy where she is the starting goalie. Morgan has received early acceptance to attend the University of Connecticut and will be goalie for the team beginning in 2016. The US National U18 team plays Canada this weekend in Lake Placid. USA's first game is Friday 8/21/15 at 6pm and can be viewed by following the link on the USA Hockey website. Congratulations Morgan! USA! USA! USA! Jack Johnson started his ice hockey journey with ECHO as a Learn to Skate participant and continued up through his first year of Peewee. He moved on to skate with the CT Riptide in the Eastern Hockey Federation and from there became an integral team member of the Rockville-Manchester United high school team for three years, two years as a captain. Jack’s three-year scoring total at Rockville-Manchester: 47 goals and 44 assists. Recently, Jack was selected for 2nd team AllStateby the CT High School Coaches Association. In addition, Jack was selected to play for CT on the Senior All Star team and was voted game MVP. He also received the 2010-11 Hobey Baker award. Jack spent his Junior and Senior years giving back to ECHO by volunteering his Saturday mornings to the ECHO Learn to Play Hockey program. He will continue his education at Central Connecticut State University starting Fall 2011 and hopes to contribute to their ice hockey team. Evan Dugdale began with ECHO on the Mite B team at the age of 6. After his first season, he continued at the A level for 4 more seasons with ECHO and had the good fortune of being coached the legendary locker room motivator, Tom Ford, who took his teams to multiple Division 1 playoff games. Evan was selected to Team Connecticut three times and attended the Select 14 Festival as a member of Team New England. Evan played for the Springfield Falcons for 3 years before playing all 4 high school seasons with Deerfield Academy, where he was selected as captain for his senior year. Evan is currently skating in the NESCAC conference at Williams College, which has been ranked as highly as #3 in the national Divsion III polls. The NHL’s Ron Hainsey from Bolton, CT started his road to the NHL with ECHO’s learn to skate program at the Bolton Ice Place. Skating at age three, Ron got his start at ECHO playing forward positions and goalie. He fondly remembers his dad teaching him how to stop before crashing into the boards. Ron was a well rounded athlete, even before the ADM model was encouraged by USA Hockey, as he played spring and summer golf, baseball, and soccer in addition to hockey. In the spring and summer hockey sessions Ron utilized these opportunities to play and learn all positions, including goalie. During the regular seasons after Mite A Ron began focusing on playing defense. He played for several northern Connecticut teams and was selected to play for the USA Hockey Select teams for Connecticut and New England and then the Jr. Whalers. At age 15 he was selected to the USA Hockey National Development Team Program and moved from home to Ann-Arbor Michigan. After completing the N.D.T.P. Ron accepted a full scholarship to play for UMASS-Lowell Hockey East Division (1) where he was named to the H.E.-All Rookie, & First Team All Star, and NCAA – East 2nd All-American Team. At the 2000 NHL Entry Draft, in Calgary, Canada, Ron was picked 13th overall in the first round by the Montreal Canadiens as a Freshman at UMASS-Lowell. The following year he was signed by Montreal and select to the AHL – All Rookie Team and AHL All Star Team. In 2005, Ron was claimed by the Columbus Blue Jackets during which the Blue Jackets held the NHL for most overtime wins (14 -4). Ron played a total of 213 games for the Columbus Blue Jackets over three seasons. 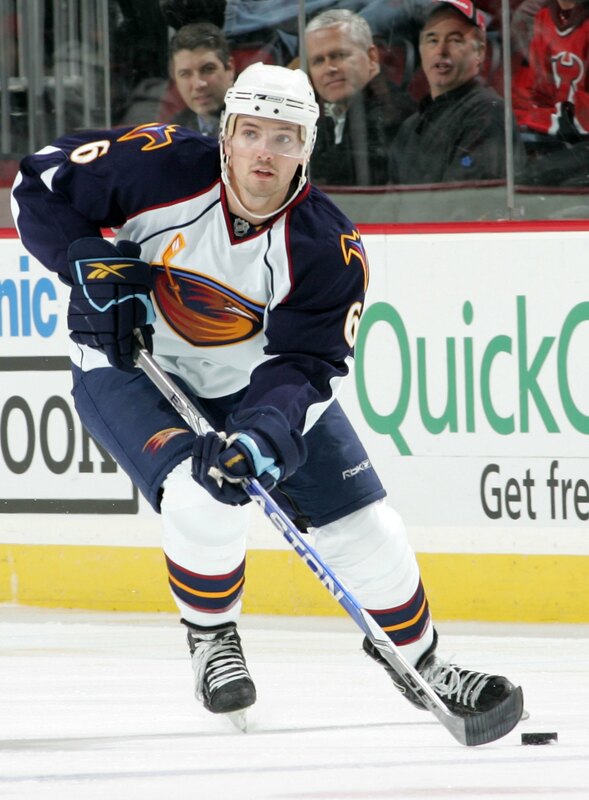 In 2008, Ron became a un-restricted free agent and signed with the Atlanta Thrashers. In his first season he scored the teams first goal of the year and his first of six goals and 33 assists for the season. Ron continues to play for the Atlanta Thrashers where this past year he was named one of their alternate captains. He has played 81 and 80 games, respectively, of the past two seasons. During the off season Ron enjoys golfing, fishing, boating, and spends his time in New Hampshire, Bolton, and Jamestown, R.I.
FROM ECHO TO DARTMOUTH: Jennifer Wiehn Bogue played instructional/house through Peewee A at ECHO from 1985 to 1993. Jennifer was the first girl to play at the A level for ECHO. She was the Hartford Whalers Skills Competition Peewee winner during this time. 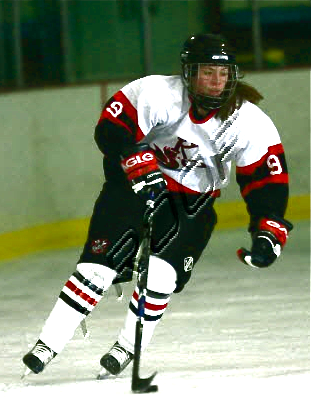 Jennifer went on to play for Dartmouth College in 1997 after completing her Peewee and Midget years with the Polar Bears. Her accolades during her years at Dartmouth include: Ivy League and ECAC Champion, Team Captain and NCAA Final Four in 2001, as well as the ECAC Tournament MVP and Academic All Ivy. Jennifer’s career for Dartmouth was 46 goals, 80 assists . Dylan Brown: Dylan started in the ECHO organization in the Learn to skate program when he was 3 years old. He played two years of in house and played his first travel team as a Mite A and won the Division 2 State Championship in 2000. Dylan went on to play 6 more years with ECHO before playing with Manchester High School. Dylan was a starter all four years of high school. In the first year of the Manchester/Rockville coop he won the Division 3 state championship. His senior year Dylan was named to the Division 2 - 1st team all state honors, was on All Conference CCC team, and was nominated to play in the 1st Annual Senior All Star game. In his four years he finished with 35 goals and 45 assists; this places him #17 on the all time points list for Manchester High. Dylan played a split season with the Junior Wolfpack this fall and will be returning to play a full season with them next year. He hopes to eventually play in college. Mike Ford: Mike played his entire youth hockey career as an ECHO Star. He began his hockey career in the learn to skate program and started playing in goal as a Mite B. Highlights of Mike's years with ECHO are being part of six Division 1 teams including the 2001/02 Squirt team that was ranked as the first seed in the Tier 1 state tournament. While skating for Glasonbury High School, as a junior and senior Mike was named to the Div. 1 All-State team, CCC All-Conference team, CCC All-Academic team , and the Hartford Courant and New Haven Register All-State teams. This year Mike was a Captain of the # 8 seeded Glastonbury team that made it to the final game of the Division 1 State tournament despite returning only four starters (all former ECHO players, Adam Zlatkus, Alex Zlatkus & Jordan Dickau.) The team lost to Hamden in that game but enjoyed their Cinderella ride to the finals by beating the #10, #2 and # 3 teams to get there. Mike was subsequently selected as Hartford Courant's ice hockey player of the year. He will continue his hockey career at Assumption College. Tony DeFelice: Tony played for ECHO for his entire youth hockey career. He began playing varsity hockey for E.O Smith as a freshman and will enter his senior year there this fall. Cam Hatch: Cam skated with ECHO from the Learn to Skate program through his Mite years. Cam played three years of high school hockey for East Catholic. This year he was featured in a Hartford Courant story (along with another ECHO player, Scott Mack) as being part of one of the best forward combinations in Division 2 hockey for the state. Mike Zalcman: Mike recently finished his senior season at Rockville-Manchester. 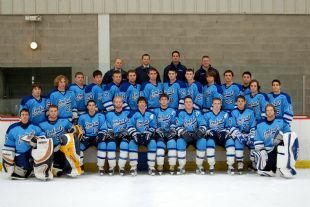 As a two year captain, this season came to an end in a 3-2 OT loss in the first round of the playoffs against Branford. After winning a state championship in 2008, a repeat visit to the finals was certainly going to be difficult. Mike was recently named to the all-conference and academic all-conference teams and was the 1st Recipient of the Hobey Baker award from Rockville–Manchester given to an athlete that displays character and sportsmanship. In addition, he was recently honored to be named to the 2nd Team all-state. Mike started in ECHO in 1995 as a mini-mite and played his entire youth hockey career with the ECHO organization, which included winning a Mite state championship in 2001 as well as a trip to the Bantam New England Regional’s in 2006. Mike will further his education at Southern New Hampshire University beginning in the fall. Alex Zlatkus: Alex and his twin brother Adam started their ECHO hockey careers on the 1999-2000 Mite B team at the age of eight. The nicknames began; Z-Boys, Ado, Turbo, Lexy, ‘Z’, the fun started, and they never looked back. Hockey was their sport and ECHO was their organization. Team accomplishments included the 2000-2001 Mite Division II Champions, 2001-2002 Squirt Tier 1 1st seed ranking, and a bid to the 2005-06 Bantam New England Regionals. Seven years of hockey skills development, fitness training, and game situation strategy were secondary only to the lessons of respect and appreciation for the game taught each year by the ECHO coaching staff. The foundation was set for a fun and productive high school hockey career thanks to the ECHO organization. Alex has played Glastonbury Varsity Hockey as a Freshman, Sophomore, and Junior. Senior year will be the 2009-10 hockey season. Total scoring for the past three seasons: 86 points. Individual Awards: 2008-09 All State, 2008-09 All Conference, 2008-09 New Haven Register All State 1st team, 2008-09 ESPN Player of the Game vs Trinity Catholic, 2008-09 GHS Team Offensive Player of the year, 2008-09 All Academic, 2007-08 All Academic, 2006-07 All Academic. "The goal of the “Hobey Baker High School Character Award” is to develop, recognize, and reward exemplary character and sportsmanship demonstrated by our high school hockey players. The development and recognition of exemplary character and sportsmanship in our high school hockey players is an extremely important aspect of the student-athlete experience. This high school level award is a natural extension of the prestigious Hobey Baker Memorial Award given to the nation’s top collegiate hockey player and sportsman." Adam has played Glastonbury Varsity Hockey as a Freshman, Sophomore, and Junior. Senior year will be the 2009-10 hockey season. Total scoring for the past three seasons: 33 goals and 36 assists. Individual Awards: 2008-09 All Conference, 2008-09 ESPN Player of the Game vs Lyman Hall (played defense for 43 of the 45 minute game), 2008-09 Hobey Baker Award, 2008-09 GHS Team Defensive Player of the year, 2008-09 All Academic, 2007-08 All Academic, 2006-07 All Academic. ECHO Alum Emily Ford AT UVM! Emily Ford began her hockey career in the ECHO organization in the Learn to Skate Program at age 3. She went on to play from Mite through Squirt levels. As one of the captains of her Squirt A team, she helped lead them to a Division 1 berth in the state tournament. After eight years skating with the ECHO Stars, Emily left to become a member of the Connecticut Northern Lights girls hockey program. In 2006 her U12 team earned a trip to the USA Tier 1 National Tournament in San Jose, California, finishing 3rd amongst 16 teams. 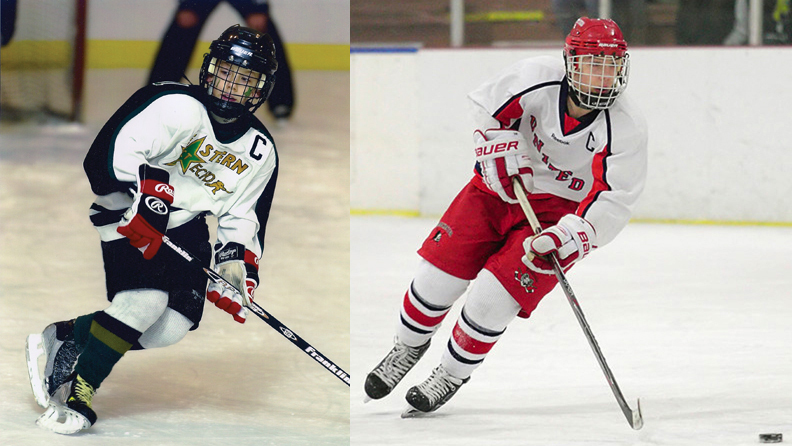 In 2009 Emily was selected to attend the Girls Select 15 U.S. National Development Camp in Rochester, NY. Em was one of only nine players selected from the New England District and one of only 102 15 year-old girls from the entire country to attend this camp. Emily played for Kingswood-Oxford School, where she was the leading varsity scorer as a freshman, but is now part of the Women's Catamounts roster at UVM. On Sunday, April 6th, the best high school hockey players in the state gathered at the Aqua Turf restaurant in Southington to receive the highest honor available to a Connecticut high school player--to be named to the CT All-State hockey team. Among the recipients were an incredible six former ECHO hockey players--a true testament to success of the ECHO program. Mike Schoen (1990), a senior at Tolland High, was there to receive his second all-state award. Mike played every youth hockey game in his life in an ECHO jersey, even skipping his freshman season to finish his youth career as a 2nd year Bantam. Although he started late, Mike quickly adapted to high school hockey, scoring his first goal 12 seconds into his first high school game. As a top forward on the squad, Mike went on to amass 99 points in his three years playing for the E.O. Smith/Tolland/Windham co-op team. Mike is also a two-time All-Conference award winner. Mike’s younger brother Matt (1997) currently plays for ECHO and was the Squirt A goalie this past season. Mike Ford (1991), a junior at Glastonbury High, received his first All-State award this year. Like Schoen, Ford played his entire youth hockey as an ECHO Star. Mike has been the starting goalie for Glastonbury High for most of the past three seasons. With Mike between the pipes this year, Glastonbury was ranked among the top ten Division I schools all season. This year Mike led the team into the Division I semifinals; in a division typically dominated by down-state schools, this was a great accomplishment. Mike’s older brother Matt (1989), now a sophomore at CCSU, played his entire youth hockey career at ECHO as well. 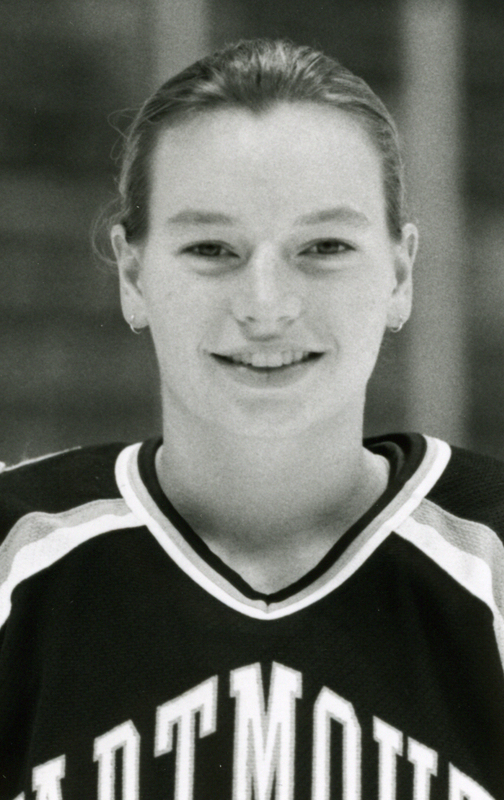 Mike’s younger sister Emily (1994) skated for ECHO before moving to the CT Northern Lights girls’ program, where she competed in the National Tournament. Emily will be playing for The Kingswood-Oxford Prep team this fall. Sean Stoneman (1990), a senior at Manchester High, also received his second All-State award. Sean, a standout defenseman for the Manchester/Rockville co-op hockey team, played most of his youth hockey at ECHO. Sean led his Manchester/Rockville team to a Division III state championship this year. Sean’s older brother Erich (1988) also played at ECHO. He is now a junior at CCSU skating with the club hockey team. High school teammates Brett Nightingale (1990) and Tyler Somes (1990), both seniors at BoltonHigh School, also garnered All-State awards. The award was the first for Tyler and the second for Brett. As two-thirds of the Bolton/Coventry/Lyman co-op hockey team’s top line, they brought BCL to the Division III state championship final game. Brett’s older brother Andrew (1987) was also an ECHO player. Charlie Hicks (1990), a senior defenseman at GlastonburyHigh School, earned his first All-State award. This past season Charlie became a dominant force among the Glastonbury defensive corps. Charlie skated for ECHO in his early years as a youth hockey player. His younger sister Molly (1994) was also an ECHO player before she left to play for the CT Northern Lights girls’ team, where she competed in the National Tournament. In attendance at the banquet to watch his son receive his award was one person who had a role in the success of all these players, former ECHO head coach Tom Ford. Tom dedicated countless hours teaching these young men what it took to become great hockey players. All of the players as well as ECHO owe Tom a debt of gratitude. Former ECHO Players Now Winning for CCSU! Rusty Owens, a former ECHO parent whose son John skated with us from learn-to-skate through PeeWee, wrote in January 2008: "I thought you might appreciate knowing that there are four former ECHO skaters [Joe Dabkowski, John Owens, Erich Stoneman and Craig Height] now playing for CCSU. CCSU is currently ranked 2nd in the northeast region of ACHA (American Collegiate Hockey Association) Division II, having a very productive year. The best part is that the team is predominantly underclassmen. None of them would be playing at this level if it were not for what ECHO provided for them....Many parents and players are completely unaware of the hockey opportunities other than high school, AAA, Juniors and NCAA. There are many and it is great hockey."